The diagnostic tools & equipment on this page are designed for garages, car workshops & mobile mechanics. If you are required to look after a fleet of cars or family members vehicles, they could also be perfect for a home mechanic, self employed auto technicians, aswell as car traders & sellers. The tools will cover most systems such as engines, ABS systems, airbag systems, transmission systems plus many many more. You can order online and get FREE delivery. The Autel Maxidiag Elite range is extremely popluar with garages, mobile mechanics, diagnostic technicians and individuals. The Autel MD701, MD702, MD703, MD704 & MD802 will reset the codes & dashboard lights relating all systems within the vehcile, the most common modules within the vehicle are ABS, airbag, engine & transmission. Depending on which vehicles you wish to diagnose - you need to chose the correct Autel MD kit for you - for example the MD702 will cover BMW, Mercedes, Audi, VW & others. The MD802 Maxidiag Elite will cover every vehicle on the road, i.e will cover all systems, which is why this in more popular with mechanics & diagnostic professionals. 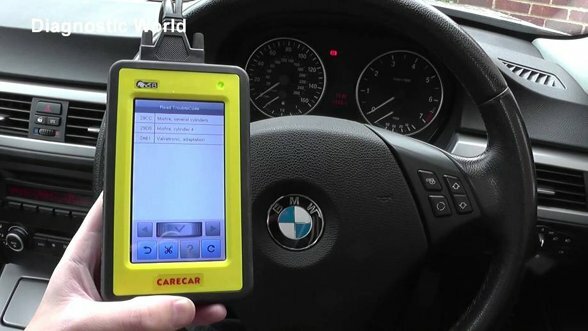 The CARECAR C68 system is also a universal professional diagnostic system and is even more advanced than the MD802. It is a newer kit on the market, and as such is more advanced as it deals with newer, and older vehicles than the MD802 is capable of diagnosing.